Cash advances have quickly become a normal part of the culture in the last few years. More and more people use cash advances. Cash advances or payday loans might seem attractive when you need money. While they can provide the quick cash that you need, they are not the ideal way to solve your financial problems. In fact, they compound your financial problems even more. One reason that you will want to avoid making cash advances a habit is because of the history of the industry. Many cash advance businesses are notorious for pulling underhanded business tricks. You might think that you are getting a fair deal, only to find out that they are not living up to their end of the bargain. One common trick is to cash your advance check before the date on the check. This can cause you big problems with your bank, be very expensive and is difficult to fix. 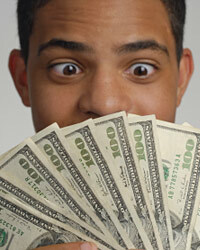 In addition to being unethical in some cases, cash advance businesses charge unusually high fees. You may have to pay fees in a number of different situations. You might have to pay a processing fee when you get started as well as other upfront fees. If you need an extension on the loan, they could hit you with extension fees or any number of other things. Before you try out a cash advance, you will want to make certain that you fully understand all of the fees that are associated with the loan. If you do not take your time and read the fine print, you could find yourself paying many unexpected fees. On top of the high fees that you will pay for the money you need, you will also be forced to pay a high interest rate. In most cases, the interest rate is higher than what you would pay on any other type of loan. You might end up paying a 200% APR if you let the loan go beyond the initial agreed upon time period. Before you sign up for a loan, make sure that you have a good feel for exactly how much this loan is costing you. Getting in the habit of using cash advances creates a vicious cycle in your financial world. The first time you use one, you are usually in serious need of money. However, most people have enough trouble living on their paychecks without someone else taking a large chunk out of them. Therefore, once you get paid, the payday loan business will take money that you probably needed for the next few weeks until your next paycheck. Then you might have to take out another payday loan until the next pay period. By this time, you have started a chain reaction that results in a constant need for payday loans. It is best to stay away from this cycle all together before you get in too deep.